Natural indian agate little bone shape beads. The Indian agate beads, carved in the shape of bones measure 7 mm x 11 mm each one. They are enfilades on strands of 40 cm long and weighing 30 grams. There are on average 34 Indian agate beads on each strand. 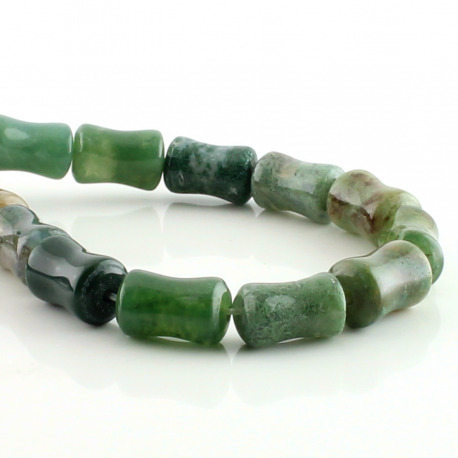 With predominance of green, the Indian agate may also have other colors such as terracotta hues. These colors and shades are natural and characterize this variety of agate. 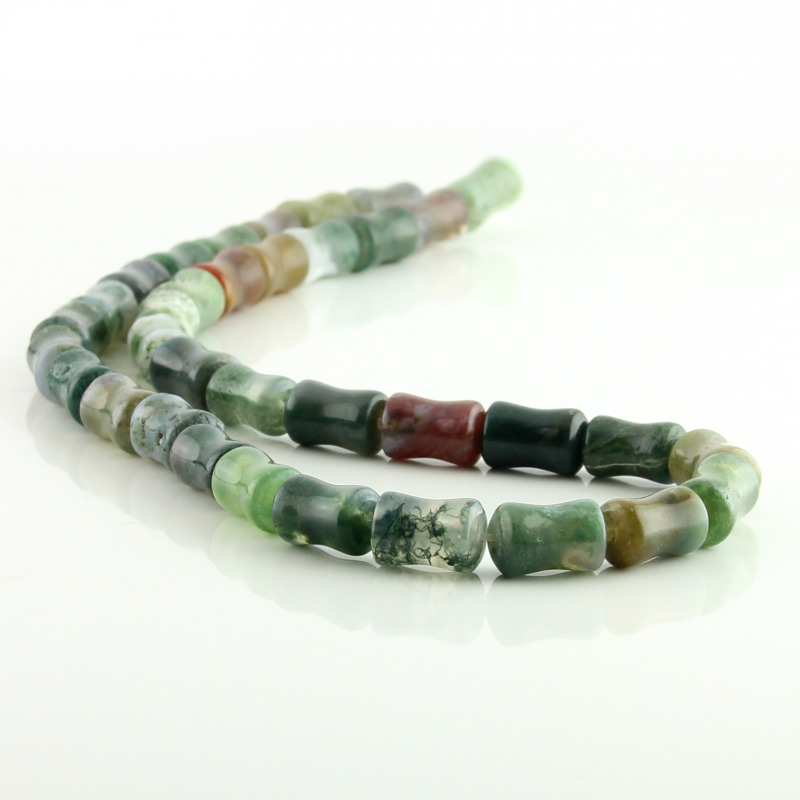 These beads produce beautiful handmade jewelry natural stone.